Northview lies within Plainfield Charter Township and consists of the area north of the boundary with Grand Rapids Township and south of the Grand River. It also includes a small portion of Grand Rapids Township around the southern end of Dean Lake. It is considered part of the urbanized area around Grand Rapids. This beautiful city retains a small-town atmosphere with stately Victorian era architecture in its Historic District and well-kept older homes built before the 1930s. The downtown area boasts old-fashioned street lamps, benches, specialty shops, galleries, theaters, restaurants, businesses and preserved landmarks. 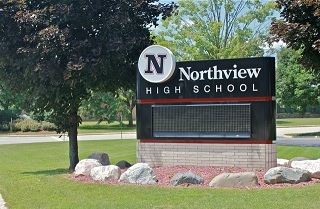 It is home to Northview Public Schools.